Hickory Ridge is a small rural community south of Jackson Mississippi and west of Hwy 49 at Florence Mississippi. These are salt of the earth country folks. 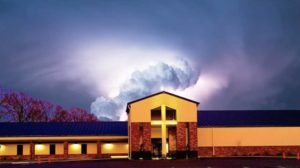 Hickory Ridge Baptist Church popped up on my radar about five years ago, as my friend Gerald Simmons shared with me his visits there as guest worship leader and evangelist. Gerald began to tell me of his newfound friendship with Pastor Terry Fant and how God had gloriously redeemed Terry from a life of alcoholism and anger. HRBC allowed Terry and Tina and their sweet family to come onboard, continue to heal, and to share their Story with anyone who would listen. That began in a small 200-seat country church building. Today, the story is shared with more than 1,000 people who attend HRBC weekly, who in turn are taking the Story of Redemption to all of Rankin County Mississippi. The ongoing story of Hickory Ridge is nothing short of a “movement”, as we have heard this week from Pastor Rick Ousley during anointed and Spirit-filled revival worship services. I have led worship for more than 40 years now. 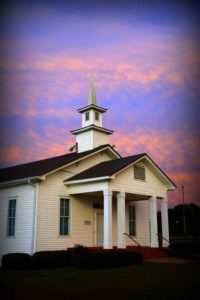 I began in my teenage years leading traditional Baptist congregations in the ‘new songs’ of the 1970s which sprang out of the 1960s Jesus Movement. This week at Hickory Ridge, we are singing the ‘new songs’ of worship which have sprung from the 90s modern worship movement as well as the beloved hymns of the past 200 years in the Church. These folks LOVE to sing and that simply draws on the creative in me as a worship leader! This week I have watched a small town country church turned “move of God” congregation now reaching thousands in Rankin County, as they pour out their hearts in worship, love and restore broken people, and serve the needs of everyone God will place in their paths. Pastor Terry Fant’s passion is to preach the Gospel to broken people — people ‘in the ditch’, as Rick Ousley calls ‘us’. We who have failed, messed up, and missed the mark more times than even our friends and family can tolerate. Still, God the Father “runs” to meet us as we return from our prodigal pig pens of failure. If you are in your ditch, or pig pen, or have found yourself fallen and messed up from the crazy turns of life … KNOW that God cares. And He has already planned your comeback party! Run HOME. The Father is waiting … and Hickory Ridge will be the first in line to love you back to the Family!